This fellowship provides financial support for exceptional students pursuing technical doctoral research relevant to the field of international safeguards. Participating universities foster partnerships between science/engineering programs and programs focused on nuclear nonproliferation and safeguards policy. 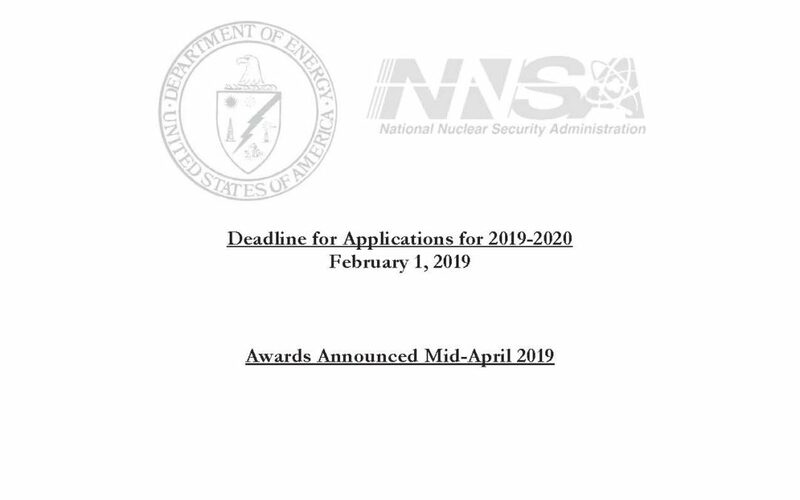 Armed with both deep technical expertise and policy understanding, NNIS Fellows are primed to take on the exciting and challenging work of international nuclear safeguards. This program description and all electronic application materials can be found on www.scuref.org.